Book your Kambo Session Today! Kambo is a non-psychoactive traditional amazonian medicine used in ceremony that is derived from the Giant Monkey Frog (Also called Giant Green Leaf Frog), or Phyllomedusa bicolour. 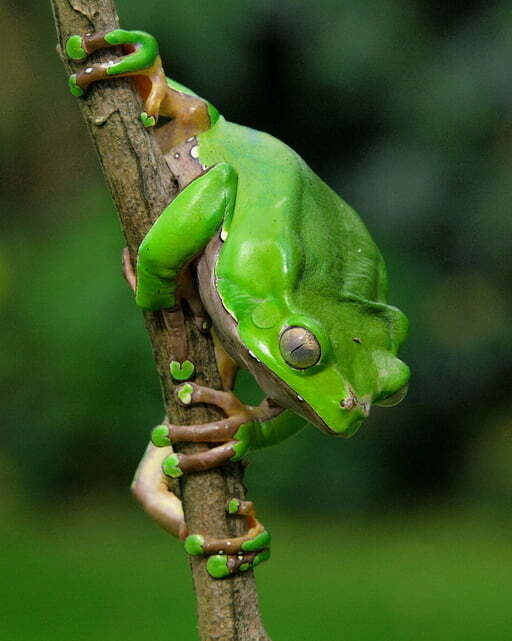 Kambo comes from the frog’s skin secretion and is carefully collected without harm to the frog. The secretion is applied through superficial burns made into the skin. The immediate effects bring on nausea, vomiting, diarrhea, sweating, lite-headedness and other symptoms, but afterwards users report amazing health improvements for a variety of conditions, both physical and spiritual. Kambo is used to address a large spectrum of physical and emotional issues. Where did Kambo come from? The use of Kambo originated in the Amazon jungle by several groups of indigenous South American peoples. It was first discovered by the western world in 1986 by Peter Gorman, and investigative journalist that had been spending time with a native a tribe called the Matses. Kambo or sapo as some call it, was initially utilized as a medicine to aid the hunters of the tribe, giving them increased endurance, stamina, visual acuity, increased hearing ability, a reduced need for food and water, and to mask their human scent to better sneak up on animals. It was often used in conjunction with a snuff called Nu-Nu to bring them visions of where their next successful hunt would be. It was also applied to women and children to treat various ailments such as malaria, parasites, snake bites and “panema” or bad luck. What is Kambo useful for? Since Kambo’s discovery by westerners, many have found it to be a potent and effective medicine for a variety of different ailments such as depression, arthritis, infections, autoimmune conditions, inflammatory conditions, addiction, emotional trauma and the list goes on…. Some call it a miracle cure for almost any condition. The “sweat” that the frog secretes is full of scientifically studied peptides, some of which stimulate endogenous opioid receptors in a unique way. Some of the compounds cross the blood brain barrier, and others even manipulate the permeability of the blood brain barrier, possibly working synergistically to allow other compounds from the cocktail into the brain that would not normally get through. Many call Kambo the ultimate detoxification. It seems to pull stored toxins out of various organ systems and purge them out of the body in a variety of ways. Some would say it also detoxifies one energetically and spiritually. Is Kambo Helpful for Lyme Disease? While Kambo as a whole medicine has not been studied or approved by the FDA for the treatment of any disease, including lyme disease, there is substantial anecdotal evidence for it’s usefulness in improving health outcomes for those diagnosed with lyme disease.Given the potent antimicrobial, and anti-inflammatory activity of the peptides, and the curious ability for kambo to release stored trauma and emotional pain trapped in the body, Kambo often facilitates profound improvement in symptoms and health status. I would personally say from my own experience with lyme and lyme clients, that kambo is one of the most powerful interventions available today for those suffering from lyme disease. Many report gaining traction in an upward spiral of regaining health in a way that no other modality was able to provide. None of the peptides have been identified as toxic to mammalian cells. They are however potently toxic to bacteria, fungi, viruses and parasites, making it a great full spectrum antibiotic. There is no know toxicity to the liver, kidneys or brain. The amount of sessions one may need is largely dependant on the individuals health, and their goal in taking Kambo. Kambo is most effective when done in a series. Any chronic health issue, doing several treatments in a short amount of time is ideal to get the upper hand on things like bacteria, inflammation, or detoxification. Some people like to do a 3 day in a row cleanse. For others with health challenges, it may be better to do 3 weeks in a row, with a week in between to give them time to recover and properly detox. Some people find that once every 6 weeks is good maintenance for them. Some people do it once and never do it again. It really is up to the individual. If you are trying to accomplish a goal with this medicine, such as get relief from depression, or clear an emotional trauma, I highly suggest commiting to at least 3 treatments. The first treatment is often an introduction to the frogs spirit. I always say it is like soaking dirty dishes before cleaning them off. Sometimes you have some old, hard and crusty gunk that needs to be softened a bit before fully cleaning it out. The following sessions, people tend to get better at navigating the experience and surrendering to it, enhancing their progress and getting more and more effective results. It’s absolutely okay to do Kambo once simply to try it, but I encourage those with an intention to give it atleast 2-3 sessions minimum. What does it feel like when you take Kambo? Kambo is a fairly quick experience. Usually only lasting 20-30 minutes, you’re typically over the hardest part of it in no time. First, superficial burns are made to the skin, just removing the top layer to expose the lympathic tissue. The re-hydrated frog secretion in then applied to the burns. Shortly after application of the medicine, your heart will pound harder and faster. A rushing feeling of can occur. You’ll experience a hot flushing sensation similar to a niacin flush,You may feel a pressure build up in your head. Then the nausea will come on. Purging through vomiting is an important part of the experience as it allows you to remove physical and energetic toxins. You may have to use the restroom, have shaking, sweating, emotional releases or heavy mucus production. These are all normal ways of purging. After about 20-30 minutes you start to feel much better and are able to safely drive home after resting. Depending on the individuals health, the aftereffects can vary tremendously. If you are relatively healthy, you will likely experience increased energy, better mood, reduced need for food or water, reduced pain, more motivation, improved clarity, feeling of peace and wellbeing, etc. If you have a chronic illness such as lyme disease, fatigue, candida overgrowth, or an autoimmune condition, you may experience a heavy detox. Something called “die-off” or herxheimer reaction can cause fatigue, achiness, or irritability while you’re detoxing. Because Kambo is such a potent antibiotic, it kills a number of pathogenic bacteria that live in your body, causing them to burst open and release their biotoxins. Die-off symptoms can last anywhere from 2-8 days. If you experience die-off, it’s usually a sign that you needed this medicine. Generally after the die off phase, the person will feel better than before they took the Kambo. The medicine is not hallucinogenic or psychoactive like other amazonian medicines such as Ayahuasca, Toe or Mapacho. There is a strong spiritual component to it, however. Many people receive clarity, have emotional releases, have old memories bubble up, and experience uncanny synchronicities.. While Kambo is not hallucinogenic, it is certainly mind expansive in a very unique way, unlike any other substance. Typically a ceremony starts with an individual consultation where we talk about your goals for during and after the ceremony. We then use that to choose the location of points and dosage. A ceremonial opening prayer is made to open up the space. We then have the opportunity to experience rapeh and sananga prior to the kambo. When ready to move onto the kambo, the burns are made, and then the individual drinks 1.5-2 liters of water. The points are applied, and the experience is accompanied by singing, rattling, smudging with sage and paulo santo, musical instruments, drumming and words of encouragement throughout the process. After your process is complete there will be a ceremony closing prayer. Private sessions often take about 2 hours from arrival to completion, and group sessions usually are 2 and 1/2 hours. Despite the extreme physical reaction, Kambo is actually a very safe procedure if done properly under supervision by an qualified practitioner. There are some people who should not receive kambo including those with certain heart conditions, addison’s disease, pregnant or breastfeeding, received chemotherapy in the last 6 weeks, have had an aneurysm or stroke, are on immunosuppressant drugs for an organ transplant, have a severe psychiatric condition, or are extremely frail. Those who have done Toad medicine or 5-Meo-DMT in the last 4 weeks should not take Kambo. Severe reactions have been observed. It is best to wait 4-6 weeks after doing Toad or 5MEO before doing Kambo. Kambo is perfectly fine to take prior to Toad or 5. Are the Frogs Harmed in this Process? No, the frog is treated with utmost respect and compassion when harvesting the venom. 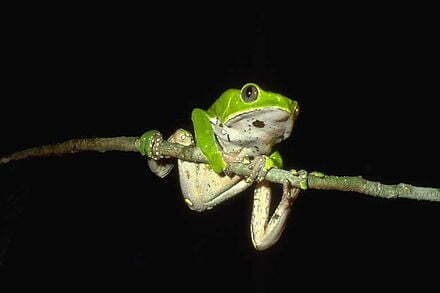 Kambo can only be collected from wild caught frogs living in their native amazonian jungle habitat. Frogs in captivity do not produce the venom. 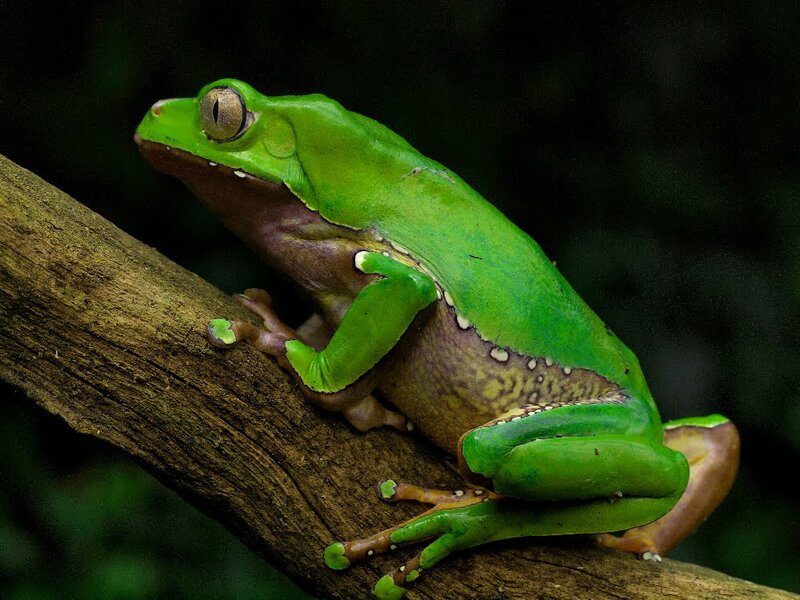 Some speculate that the frogs diet of insects play a role in the potency and properties of the venom. In the traditional method, the frogs limbs are gently tied spreading it’s arms and legs in a cross-like fashion and the frog is sang to and delicately stroked on the back to provoke the frog to sweat the secretions from it’s skin. The indigenous tribes believe that if you harm the frog in any way, it’s spirit will be angered and not provide healing. After collection, the frog is then released back into its wild habitat. Often times, the frogs will be marked with an ink that wears off in about a week, so that if a frog is caught with an ink mark, they know it has not had enough time to replenish it’s venom and to collect it too frequently would give it a disadvantage at defending its self against predators. The medicine I use comes from the International Association of Kambo Practitioners (IAKP) and is ethically sourced directly from the Matsés in Brazil. The frogs are treated very kindly, only taking the first 20% of their secretion. By purchasing these sticks of medicine, we are directly supporting the Matsés and empowering them to continue living in the jungle and protecting it from the Brazilian government. Each Kambo ceremony helps conserve our precious Amazon rainforest and the people who are there to protect it. Is there any scientific research on Kambo? Yes, Below are a few scientific papers you can read on some of the compounds identified in Kambo secretion. Pharmacological studies of ‘sapo’ from the frog Phyllomedusa bicolor skin: a drug used by the Peruvian Matses Indians in shamanic hunting practices.